WHY GO: Yes, the Hudson River’s Millionaire’s Row or “Great Estates” region is indeed beautiful to behold. Perhaps that’s why our moneyed ancestors (some of ours, anyway) chose to position their homes on the banks of this majestic waterway. But the tony village of Rhinebeck itself is two miles from the waterfront, still in the Hudson River Valley, but also “in the country.” You can stay on the waterfront, however, in one of this Maven’s favorite boutique hotels, or “in the country,” too – on a horse-farm, and experience the country’s first Barnstorming Aerodrome, adorable shops and sophisticated cuisine. Access both “river and country” on this Rhinebeck-Rhinecliff getaway. 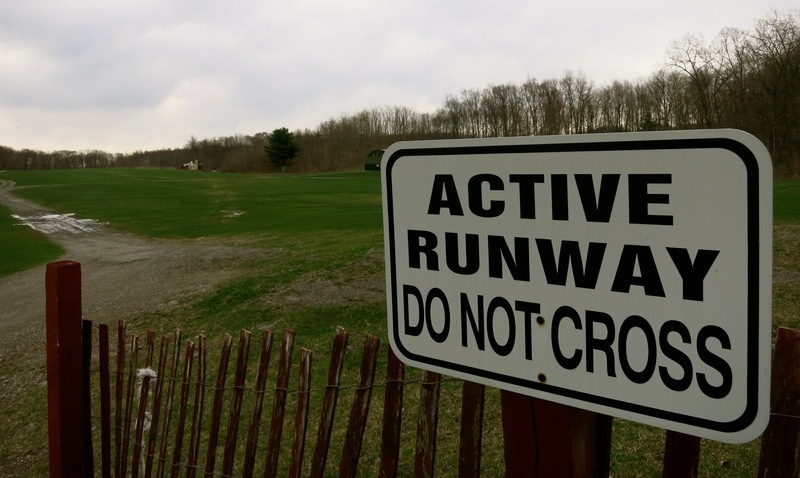 GO: Old Rhinebeck Aerodrome The first of its kind in the USA, The Old Rhinebeck Aerodrome recaptures the thrill of bi-and-tri-plane flying, featuring WW1 and Barnstorming aircraft. Over a dozen planes – out of 60 in the collection – are “air worthy,” and star in some pretty daredevil stunts. In 1958, aviation mechanic, pilot, and Aerodrome founder, Cole Palen, purchased this Rhinebeck farm dirt cheap, as the home was site of an unsolved murder. He started flying his collection of WWI planes for friends, and word spread of his derring do. Years ago, the replica of Snoopy’s Sopwith Camel vied with “World War I Flying Ace, the Red Baron” as the hit song played. With Palen flair, the show morphed into a melodrama featuring the daring Sir Percy Goodfellow doing battle with the Evil Black Baron for the hand of the lovely Trudy Truelove. 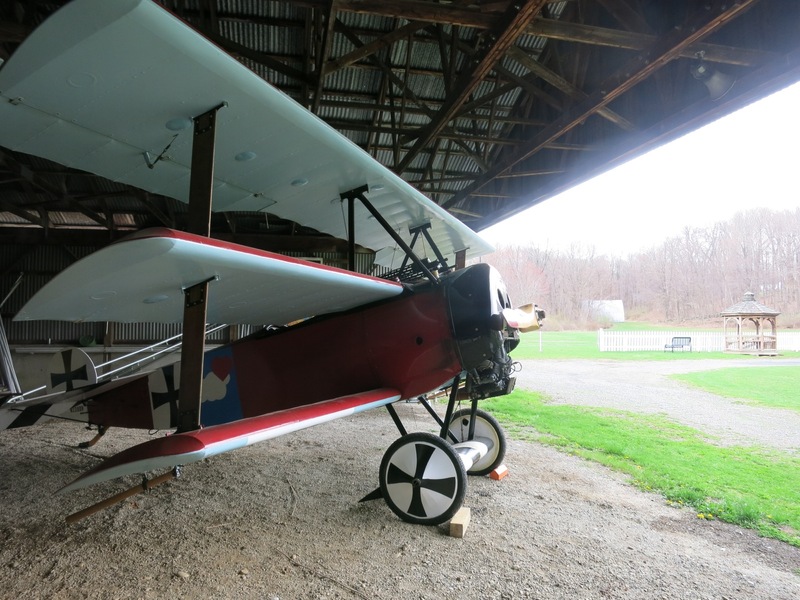 A replica of the real Red Baron’s tri-plane, the D-7 Fokker, one of WWI’s most advanced planes, still flies though the Camel is now grounded due to age. Several planes are original, but most are painstakingly researched replicas, reconstructed right on site. Besides watching air-shows, visitors can see these planes in the process of being built. 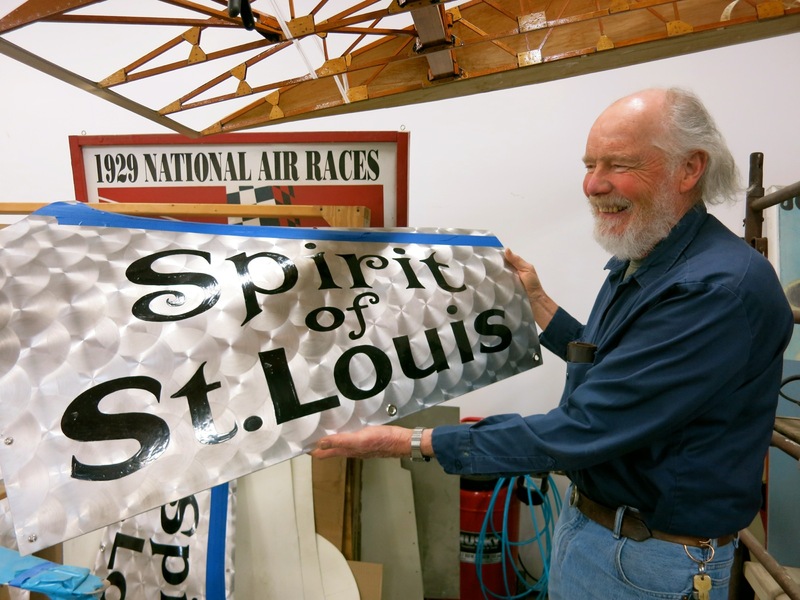 Aerodrome pilot and mechanic, Ken Cassens is finishing up an exact replica of The Spirit of St. Louis (the original is in the Smithsonian) – which made headlines as the plane that flew the first solo-nonstop flight across the Atlantic, piloted by Charles Lindbergh. Should you wish, you can fly in one of these planes – with an experience pilot, of course: $75 per person, four at a time, for 15 minutes. A thrill. $10 M-F for grounds, $20 admission on weekends for show and grounds. Arrive by 2pm – show runs until 4pm. VISIT: Wilderstein Historic Site. This fanciful Queen Anne style country home commands a Hudson River School of Art view of the Hudson River. You can take a tour or just roam the gorgeous grounds for free. 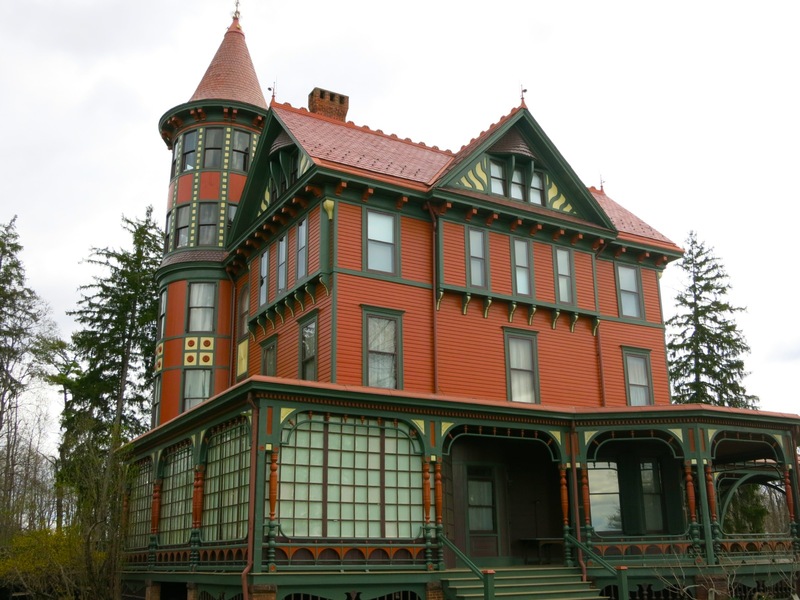 From the website – “The last resident of Wilderstein was Margaret (Daisy) Suckley. A cousin and confidante of Franklin Delano Roosevelt, Miss Suckley traveled extensively with FDR during his presidency, gave him his famous black Scottish terrier Fala and helped to establish his library in Hyde Park. Miss Suckley was with FDR when he was fatally stricken at Warm Springs, Georgia in 1945. She died at Wilderstein in 1991, in her 100th year. The letters they exchanged during their friendship, discovered in a black battered suitcase at Wilderstein, provide one of the best resources for understanding the private side of Roosevelt’s life during his presidency.” Tours May-Oct, Thurs-Sun, Noon-3:30 on the half hour, $11. VISIT: Montgomery Place. 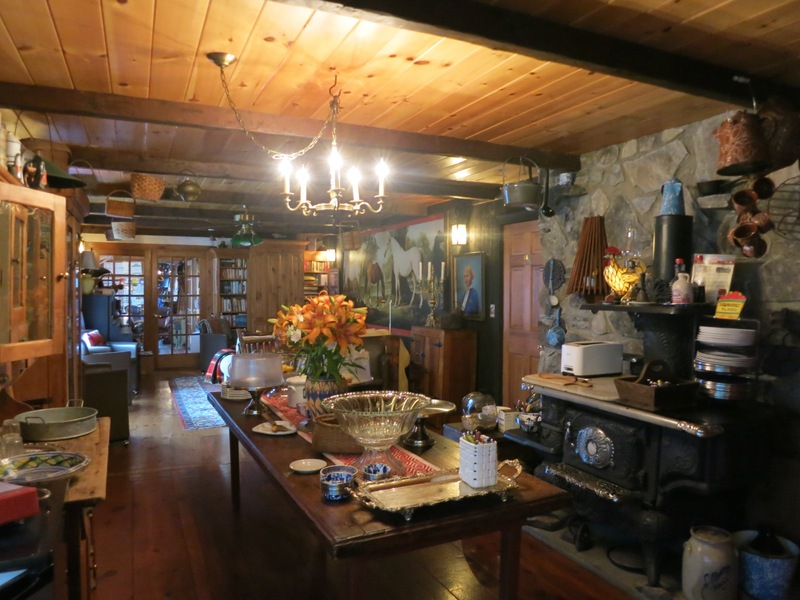 A few miles north of Rhinebeck, you’ll find the former residence of Janet Montgomery, builder/owner of Montgomery Place who has been compared to Jackie Kennedy. Widowed at a young age, she eventually purchased and ran a working farm later in life – quite unusual for a woman of those times. 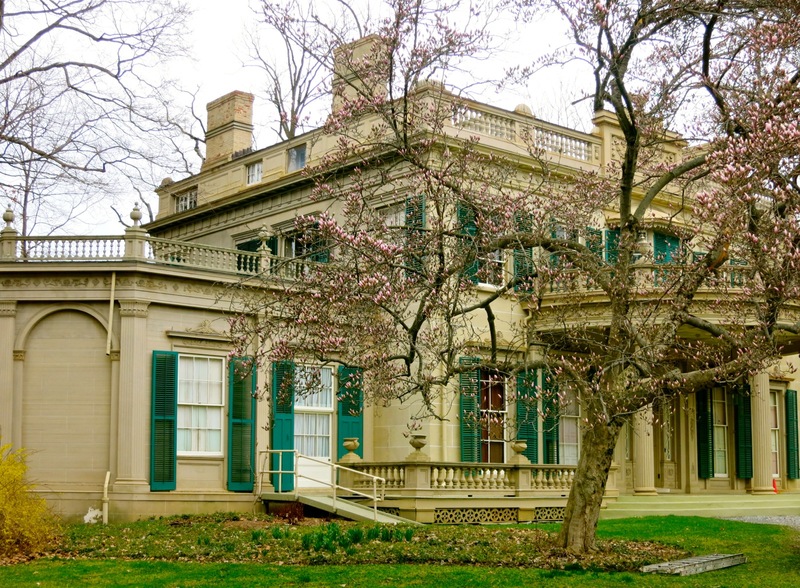 Since her death in 1844, seven generations of the family lived here until 1986 when the home and 400 acre grounds were turned over to Historic Hudson Valley. In 2016, it became part of Bard College. The residence was transformed with each successive family, but perpetuated the original owner’s intent to promote “pleasure walks through the woods”. 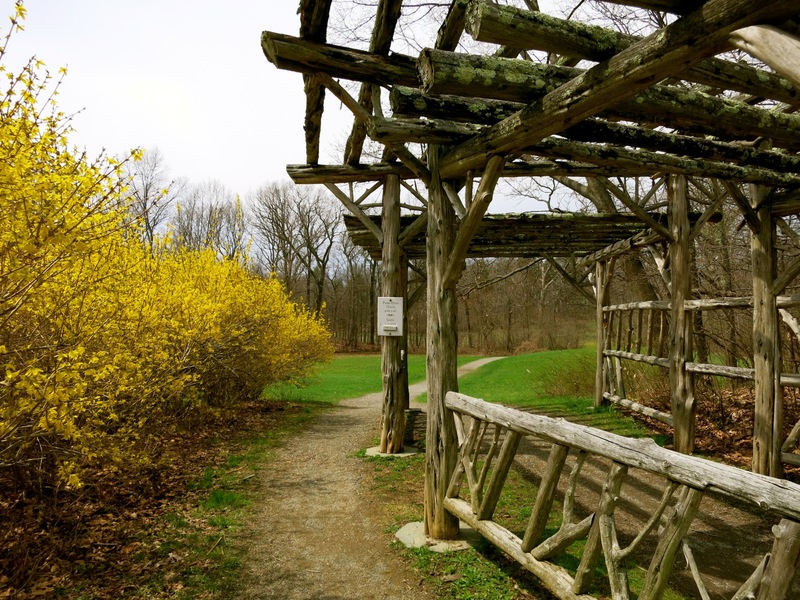 WALK: Poet’s Walk: It’s a tranquil 2 ¼ mile walk on undulating land by the Hudson – taking you through fields, woodlands with vistas of the riverfront – “a landscape that inspired 19th century writers.” Glorious. 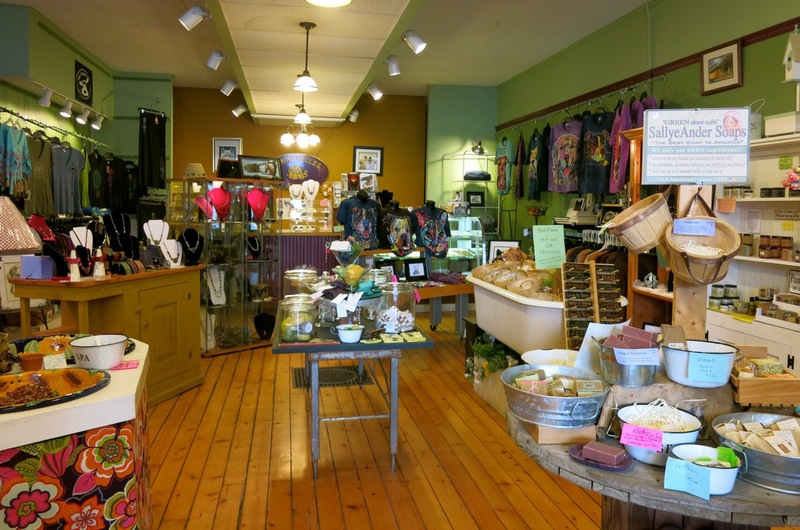 SHOP: Periwinkles at Rhinebeck. Crafts by local artisans, Soul Flower T Shirts and perfect natural “No Bite Em” Soap for hikers who can’t stand mosquitoes. A great little shop. SHOP: Oliver Kita. 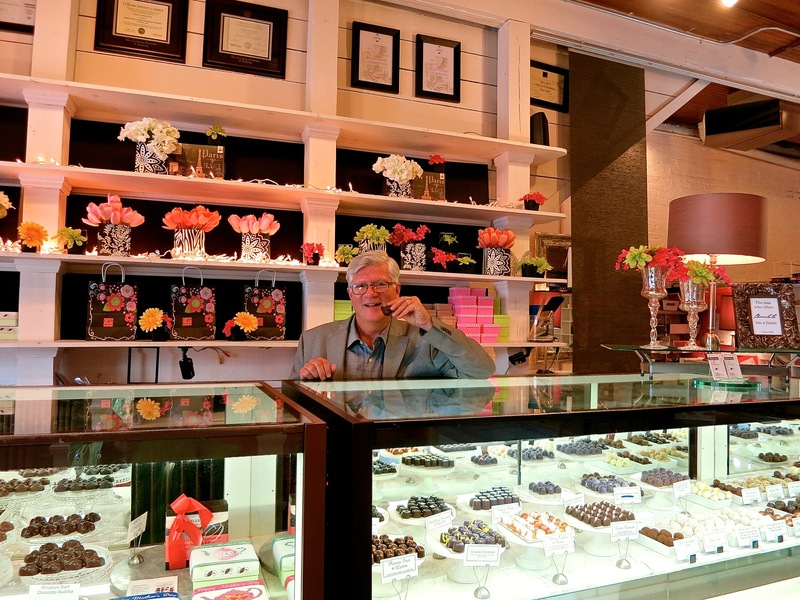 This artisanal chocolatier has been written up in major lifestyle magazines, but his heart is in the Hudson River Valley. Kita came up with the perfect area souvenir – the Great Estates Collection Sampler ($42), rendering 16 Hudson River mansions in chocolate (Roosevelt Raspberry, Vandermint). Kita’s best-selling signature item? A melt-in-your-mouth Buddha in dark or milk chocolate ($18.95). SEE: Upstate Film Theater. 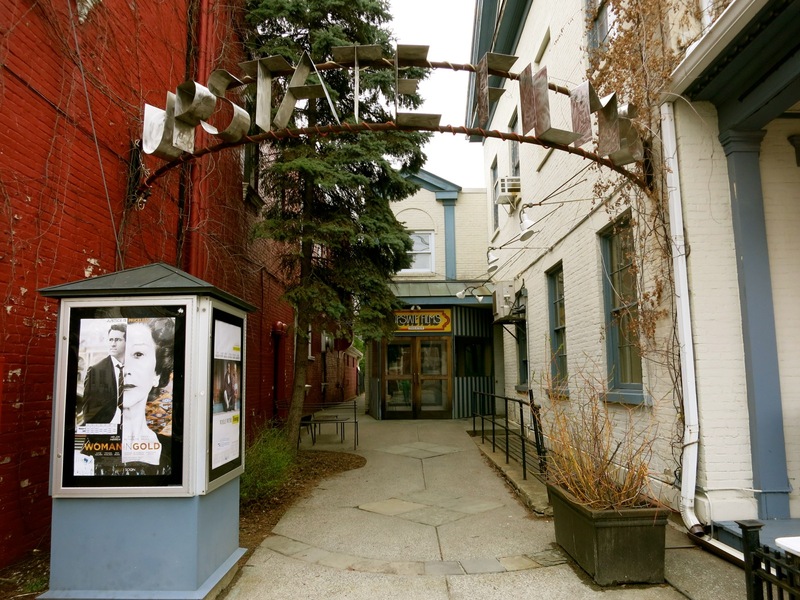 Rhinebeck’s indie/arts movie house features the hottest indie films out there. LEARN: OMEGA Institute. 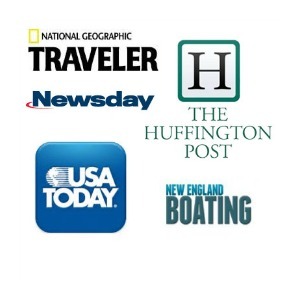 According to its brochure, Omega is “the nation’s most trusted source for wellness and personal growth programs.” Many people consider a stay there “a spiritual awakening”. 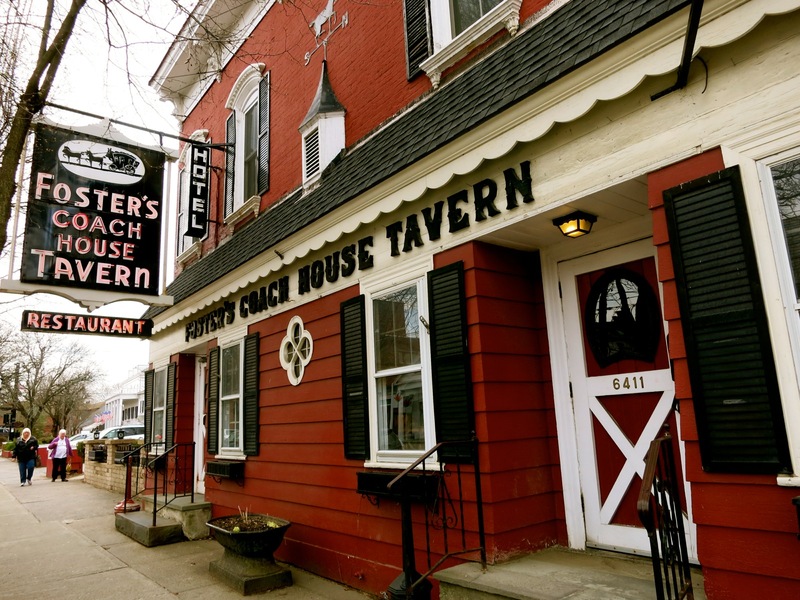 EAT: Foster’s Coach House Tavern. Historic, dark and clubby, Foster’s was open in 1890 and often gets overlooked by tourists now. But locals have not abandoned it. Food is good and basic – you go for the experience of dining on traditional fare in old horse stalls. EAT: Locals recommend – Pizzeria Posto for “best pizza,” The Local for “New American,” and Petit Bistro for French cuisine. 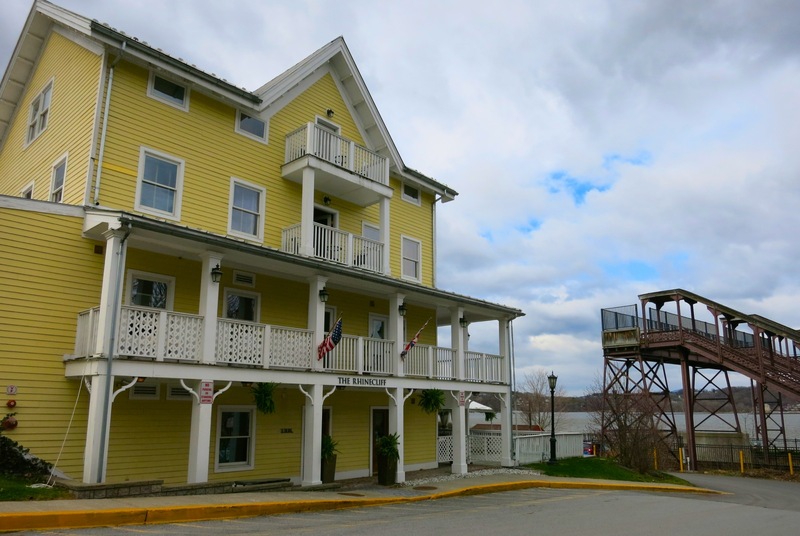 STAY: RHINECLIFF HOTEL. A Maven Favorite – see a full write up with photos here. 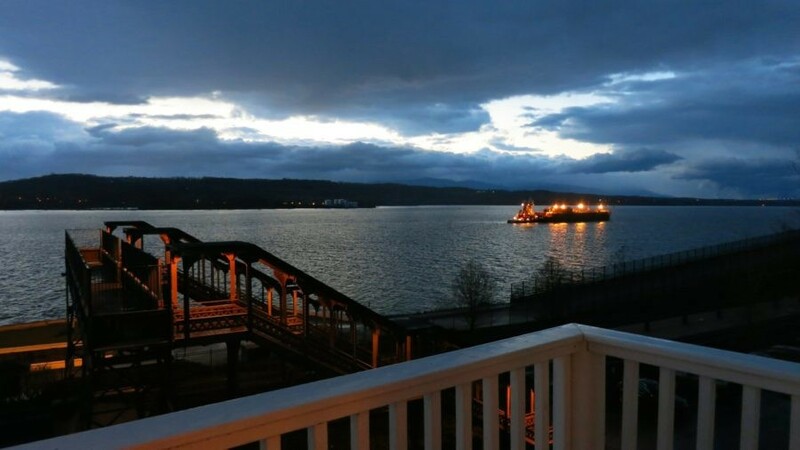 Midweek offseason starts at $149 per night (standard room) to $389 for a weekend suite in high season, includes breakfast. 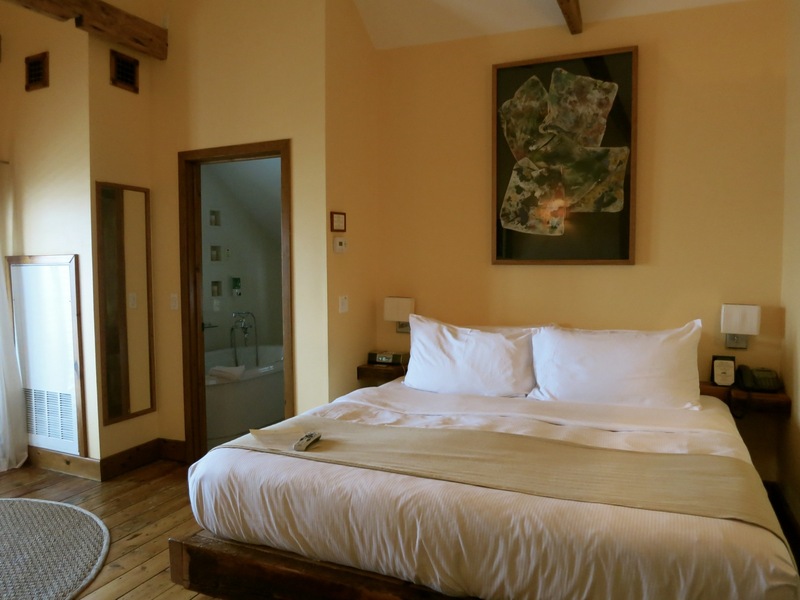 STAY: Whistlewood Farm. As you enter the driveway and drive by pastures dotted with grazing horses, you realize this is not the typical over-upholstered B&B- it’s country-chic as inspired by Ralph Lauren. An antique cook stove in the well-used kitchen serves as the baked-goods shelf – with homemade sweets available 24 hours a day. Owner Maggie Meyer prides herself on the Strawberry, Rhubarb, Apple, and Pumpkin pies that emerge hot from her oven, not to mention the full country breakfast served from 8:30 to 10:00 every morning. An open fire pit – eight feet across – draws guests outside, as does miles of woodland trails on the property. Rooms $195-$325 include homemade goodies and full country breakfast.